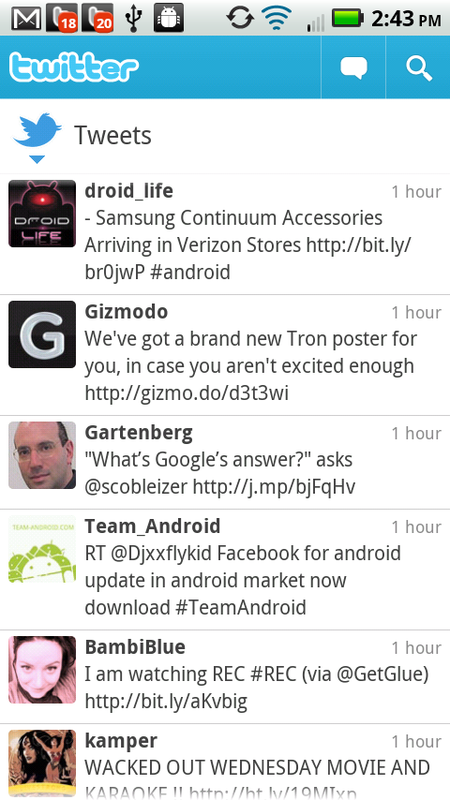 A new version of the official Android Twitter app is available and includes some pretty major tweaks. 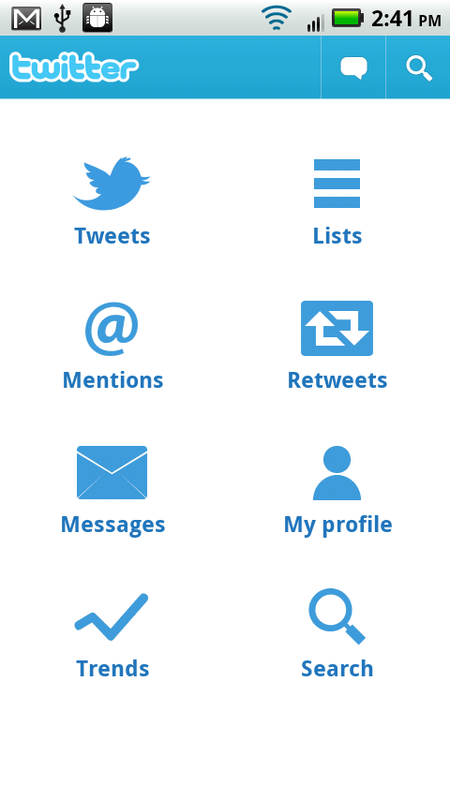 Overall the app refreshes the timeline much faster, looks sharper and features a new details page for simple retweeting. Nice timing right? Same day that the Facebook app drops. 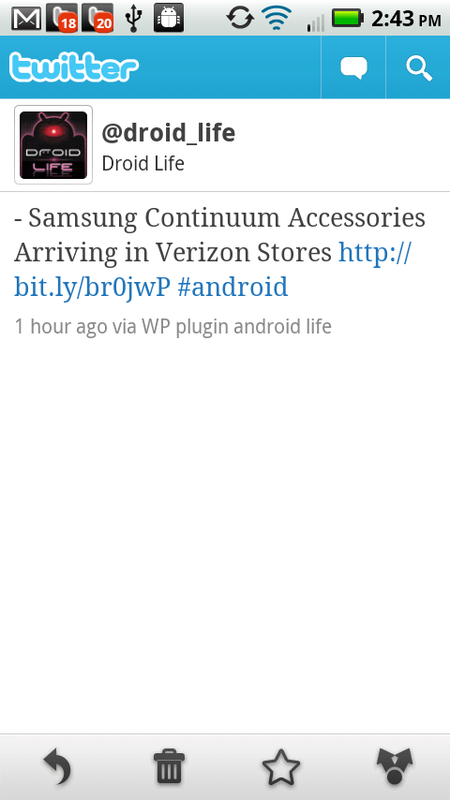 -Pull to Refresh: This popular feature, which was first available through our iPhone app, functions just as it sounds – when you’re at the top of your timeline, simply pull down to load new Tweets. 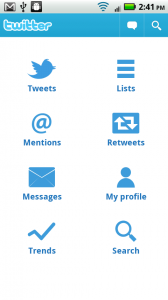 -Swipe to Reveal: Swipe across a Tweet to get quick access to several options, such as viewing a user’s profile, sharing a tweet, or replying. In the market now for free!